Hunter's perfect "cap" to his Year in the Life collection - from newborn to six month and now his first birthday session! 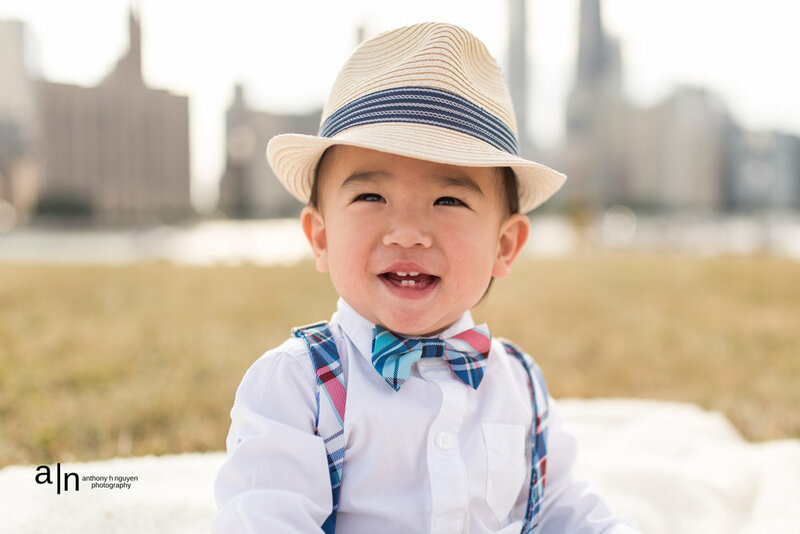 What a gorgeous smile, looking dapper on the lakefront! Moving out to the west coast, Hunter and Mom and Dad wanted a session to capture the essence of Chicago. Lake Michigan and our fantastic skyline view from Olive Park provided the perfect backdrop. I had to bring the family to Molly's Cupcakes to finish the session. Cozy and fun location, plus the cupcakes are always delicious!